In celebration of Fire Prevention Week, October 7-13, Heartland Fire & Rescue will host three Fire Open House events in three cities. 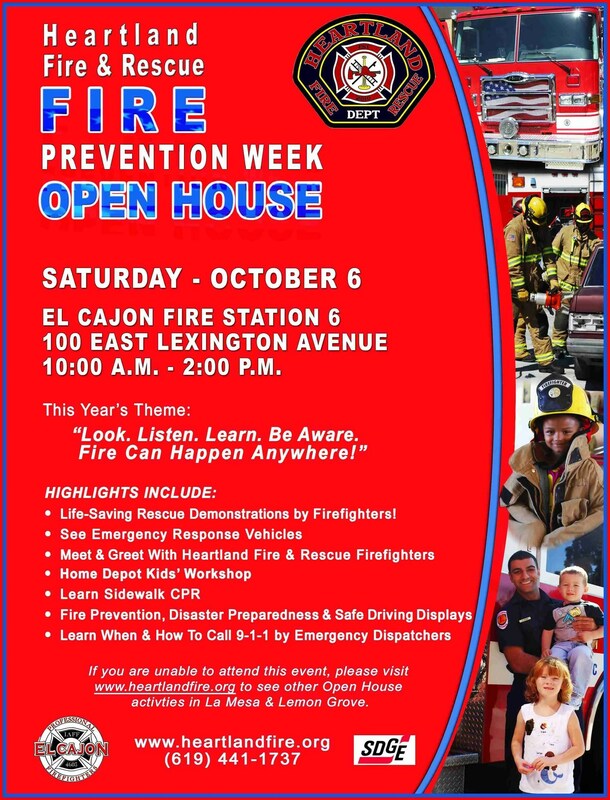 El Cajon: Saturday, October 6, 10 a.m. to 2 p.m.
La Mesa: Saturday, October 20 – 10 a.m. to 2 p.m. Families are encouraged to check smoke alarms and to practice fire escape plans twice a year. Fire drills should be practiced at night and during the day using different escape routes and children should be taught how to escape on their own. For more information, please visit www.heartlandfire.org.